everyone needs a Little Red Bag in their life: it's cheery and versatile and way easier to wear than bright red lipstick! i'm still thinking about this lovely little Steven Alan bag that's on major sale right now. it kind of reminds me of a cross between a vintage Coach and a Mayle baby billie with the turnlock, suede, and leather trim details. this would be a gorgeous little bag for day or night. it's always so nice to see thoughtful details like little zipped compartments and functional design (love the little turnlock pocket in front), even if the bag is a small one. i really don't like excessive ornamentation on handbags. i think the first season's collection of Steven Alan handbags was quite strong - they reminded me of some of my favorite vintage Coach bags in the simplicity and elegant shapes and sturdy-looking leathers. i'm really looking forward to new designs for spring and next fall. 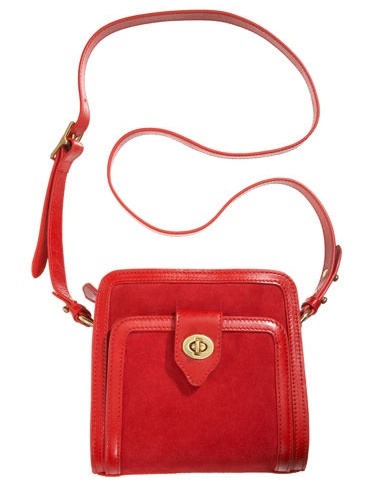 i love the adjustable crossbody/shoulder strap. i could totally see Michelle Williams wearing one of these in her signature quiet, chic way. Chinese New Year is coming up in January (year of the dragon! whoo! ), and i'm on the lookout for something small and red to add to my collection. it'll be fun to add an (auspicious) pop of color to usher in the big celebrations here in Shanghai! does anyone have one of the SA bags from this season? what do you think? That Steven Alan is so cute and original, the perfect pop of color. I always like that brand's products but it's a shame there's no store or at least a corner in Paris carrying their items. big fan of the LRB! i have a vintage anne klein in red from my aunt that adds the perfect pop of color to any outfit. luckily it has a little zip compartment on the inside + can easily fit a small-medium paperback book. @Michelle mmmm that's great to hear! i will always have a soft spot for a lipstick red bag. @Jocy yeah! 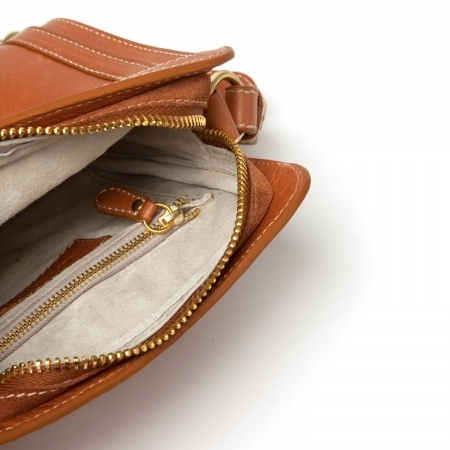 a nice caramel leather bag is so great too. my vintage coach saddle bag is that color and it's such a great light neutral. I love the LRB idea. I am always an advocate of bright coloured bags: teal, yellow, blue. As a result of my colour bag obsession I have no black bags though, which is rather unpractical, but fun :) As for the PS1, it's worth every penny. The leather is getting better the more I wear it, I would advise you to choose a more wearable colour though like navy blue?or yellow... or oh no here I go again. I am actually really craving a PS2, but have been able to resist for now. @T like Bubble ... hehe, love that you have such vibrant colors in your collection! it's hard for a lot of people to get away from the standard browns and blacks when it comes to bags. (i personally really don't like browns in general, the one exception being my mulberry bays in oak) would love to see you do a mini review of your PS1 - does it fit enough in it? thanks for the new year wishes! :) glad to have found your blog too - here's to more style in 2012! I am looking for a L_B, shoulder and the like. Well you inspired me to get a LRB, + match the (first) red lipstick I just bought from Mac called Diva it is matte (I add gloss for shine). I just moved to Kuala Lumpur from New York, thinking the Year of the Dragon has totally impacted my style choices! Thanks so much - sorry I so late to the conversation.